The condition of the product is very good and the sound quality is the best. Great transaction with an honourable seller. Recommended! Item status is New(Other), but real item is refurbished. Overall the headphones are a deal but the sound quality isnt as good as skull candy earbuds. For wireless headphones though they do the trick. The design is kinda ugly and bulky but for the money they are ok. 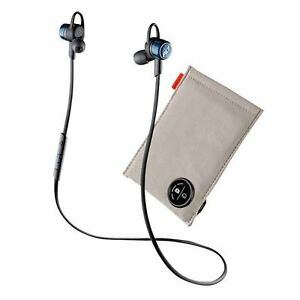 I have had other more expensive brand of earbuds but for the price backbeat is great. The sound is good and if you lose these you won't want to kill yourself. The only problem I have is they have a six hour listening period. So these head phones are great for the price. They just dont fit my ear as well as i may like, also the sound is very tinny and not much base.